Precision agriculture tools are to designed to maximize yield and revenue related to crops using data-driven insights. This software assists with information such as ideal planting schedule, maintenance instructions, and environmental factors that could impact a given crop. Precision agriculture software often offers predictive analytics features such as expected waste, yield size, and profitability in relation to market values, allowing farmers and growers to make optimal production decisions throughout each growth cycle. Precision agriculture software often communicates with commonly used controllers on the market or specially designed hardware from the vendor in certain cases. Used in conjunction with other agriculture software such as smart irrigation and farm management systems, these tools can streamline farming processes while reducing environmental impact and labor costs. Precision Agriculture reviews by real, verified users. Find unbiased ratings on user satisfaction, features, and price based on the most reviews available anywhere. Adaptik Corporation provides on-premise and cloud software solution to P&C insurance carriers. Agralogics enables anyone to easily access and share information about the food they grow, sell or eat: In the right place, at the right time and with the right people. Agremo Plant Insights is a cloud-based software platform which uses insights extracted from drone-collected imagery to improve agricultural processes. Agreo offers multi-sector, multi-farm, and multi-platform web solutions. Agrilyst tracks and analyzes all farm data in one place, enabling growers to optimize plant performance and reduce operating expenses. 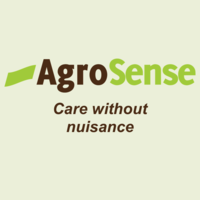 AgriTask is an Ag-management platform integrates various data sources into one system. Agro Pal, is a Free Farming Assistance Android App backed by Artificial Intelligence. Salient features include Crop Details Assistance, AI backed Plant Disease Detection, Weather Prediction, Aggregation of useful Agro Information Web links, Forum support to enable community discussion. Agsolver is a farm management software that helps to manage and plan acreage, yields and planting. Agvance Agronomy is built to provide the right tools at exactly the right time across your entire operation, creating real efficiencies, better communication and happy customers. aWhere analyzes over a billion points of agricultural data from around the world daily, to create unprecedented insight for field-level to global decisions. Cash Manager Focus is the next generation of Cashmanager RURAL. With all the features you know and love - just more modern and intuitive. Cash Manager Focus is simple and easy to use empowering you to make informed, confident decisions for your farm. From milk revenue planning to stock management, you use your data the way you need to. Start a free demo today! The CropPlus+ Growing Conditions Index is a seasonal soil moisture and temperature weighted index – giving users actionable, micro-climate specific information for their workflows. CropPlus+ Indexes are calculated and distributed daily and are a natural complement to our localized Grain Price Assessments. Used with cmdtyIndexes OTC Grain Price Indexes, users can identify important trends forming at the National, Regional, State, and County levels. CropMetrics is a precision agriculture company focused on advanced agronomic solutions while specializing in precision irrigation management. CropZilla is a predictive modeling software company allowing farmers to model the impact of decisions before making them. Earthtech is an agricultural analytics solution. ec2ce is a technological company who applies artificial intelligence into smart agro, producing predictive tools for pest/disease control and productivity forecast in decision farming systems. Encirca services provides estimates and management suggestions based on statistical and agronomic models. ENVI CROP SCIENCE analyzes spectral and spatial data within imagery to provide extensive crop health information. The best part is, this product is designed to be used by anyone, regardless of prior experience with remote sensing. Aglytix provides solvers and applies them to the improvement of agriculture. Farmers Business Network (FBN) utilizes data science and machine learning to provide members with unbiased and unprecedented insights about each of their fields, powered by billions of data points from our network. FBN Analytics is designed to help reveal profitable insights about farms. FluroSat is a crop heath imaging system for early stress detection, enabling farmers to both save on chemicals and increase their yields. GeoVisual Analytics uses routine monitoring of fields with airplanes, drones and mobile phones, GeoVisual is applying its NASA-funded AI algorithms to analyze crop maturity, health, and predicted yields, helping farmers to dramatically reduce production uncertainties and increase profits. Harvest Supervisor Systems is a feed, hoof and truck management software. iNDIGO is a Microsoft-accredited formulation software. AGLYTIX SOLUTIONS lean farming is an actual example of how the Aglytix Snap Analytic identifies and quantifies waste, which enables a farmer to make better informed decisions. Morning Farm Report software delivers field-level forecasts and data on yield predictions, nutrient availability, fieldwork timing, spraying conditions, hail events, potential pest problems, weather, and others. 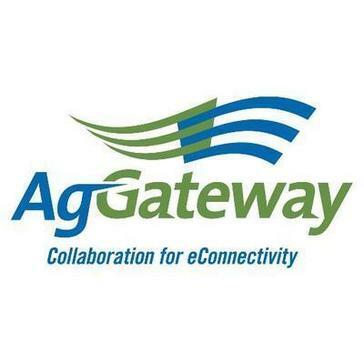 MyAgCentral is a software solution designed to bring value to every agribusiness interaction. This outcomes-based, ever-evolving technology fuels improved productivity, efficiency, and profitability. MyAgData is a cloud-based data system that simplifies acreage reporting for farmers, crop insurance agents and ag service providers. My Field Crop Records is designed so the user can input as little or as much information as desired where each producer can utilize different components in such a way as to satisfy their individualized requirements. 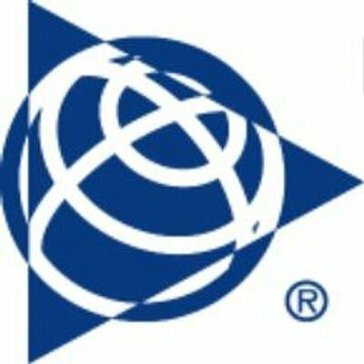 OMICA is an innovative startup whos mission is to develop innovative products integrating the most advanced technologies (Internet of Things, Earth Observation, Cloud Computing, Big Data). PAM - FieldRex is designed to be used by consultants for in-crop scouting for pest, diseases and weeds and to record in-the-field recommendations. Feed Mill Manager is the leading information management solution for commercial animal feed manufacturers allowing them to integrate data from production, formulation, recipe manufacturing and accounting into a single system. Customers can efficiently ensure accurate pricing and order processing, traceability of inventory, and provide real-time reporting of business data. Gain margin control today with fewer errors, less rework and better cost control, so you can manage your business growth. Discover farm management solutions that scale from small family farms right through to corporate enterprises. 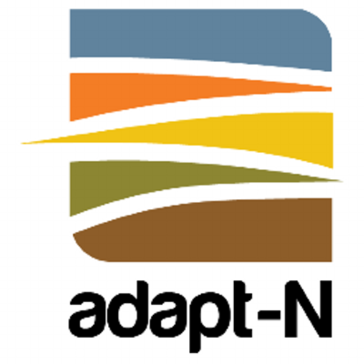 Integrated solutions that encompass financial, cropping, livestock, mapping and weather modules. Agriculture is a sophisticated business that needs industry specific solutions that drive efficiency, profitability and productivity. Pix4D makes software solutions for professional drone-based mapping, purely from images. PLANTATOR System is a IT solution dedicated to the manufacturing, distribution and processing of fruits and vegetables branches. Plantator is a niche system, designed specifically for the fruits and vegetables industry. Hi there! Can I help you find the best Precision Agriculture solutions?